In her role as treatment coordinator, Amy helps explain the orthodontic treatment plans to our patients and parents. She strives to provide a friendly, positive, up-beat experience for everyone that visits Ruso Orthodontics. Her favorite part of her position is comparing the before and after photos once braces are removed! Amy lives in West Melbourne with her husband and two amazing daughters. She also has a goldendoodle named Tucker and a shar-pei named Bentley. She enjoys spending time with her family and friends, exercising, and going to the beach. Judy is our scheduling coordinator. She loves seeing our patients’ smiles improve with each visit, and letting them know how great they look! The favorite part of her position is being able to help schedule appointments that work with our patients’ busy schedules. Judy has four daughters and eleven grandchildren! She also has a grand-dog... a long-haired chiweenie named Jax! In her free time she enjoys boating, fishing, creating nautical art, and gardening. Megan is part of our amazing crew of orthodontic assistants! She enjoys getting to know our patients and sharing in their excitement as their smiles improve. She loves being a part of the orthodontic process that imparts so much confidence in our patients. Megan lives in Viera with her brilliant daughter, who is currently in braces herself. She loves her life in Brevard, and enjoys bike riding and paddle boarding on the Indian and Banana Rivers. Melissa is one of our awesome orthodontic assistants! She has over 12 years of orthodontic experience, and couldn't imagine working in any other profession. Her favorite part of her position is seeing the wide Hollywood smiles that are created with expanders. Melissa lives in Palm Bay with her three wonderful children, one of which is currently in braces! When not at the office, she enjoys volunteering at her children's school. Taimary loves her roles as both an assistant and financial coordinator. 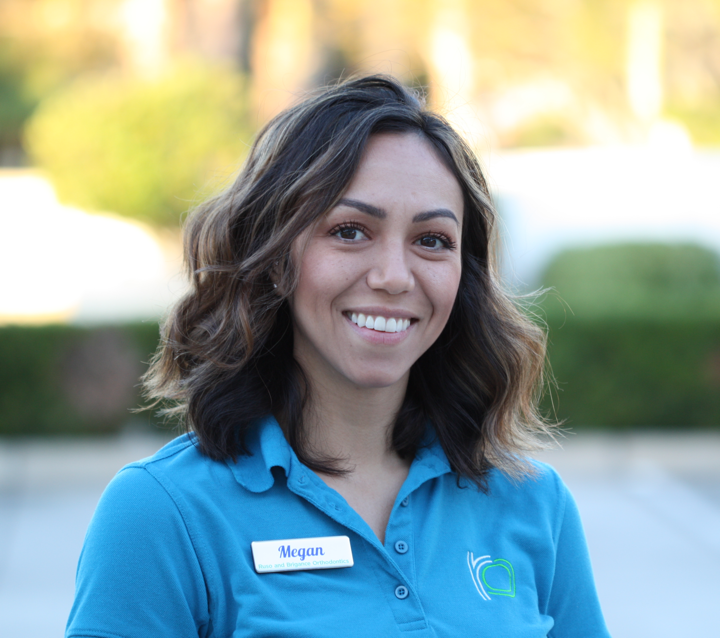 She works with each family to maximize their insurance benefits, and to make sure that finances never get in the way of our patients attaining the smile of their dreams. She speaks fluent Spanish, and her favorite part of her job is seeing patients’ confidence build as treatment progresses. Taimary lives in Suntree with her husband and three adorable sons. Originally from Massachusetts, she is a huge fan of Boston sports. She even has a Boston terrier named after Tom Brady! Toni serves as both our new patient coordinator and financial coordinator. She works to create amazing experiences for families that are new to our practice. The most enjoyable part of her job is seeing the patients smile the day they get their braces on or off! Toni lives in Rockledge, and when not helping patients start orthodontics, she runs a wedding and events planning business.